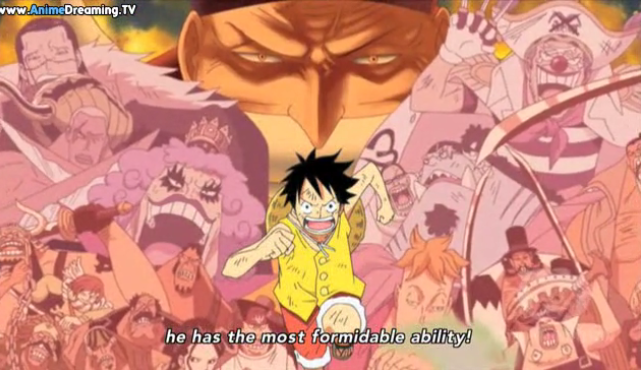 During last week’s episode, Luffy was slowly advancing towards Ace in order to rescue him from the upcoming execution. However, he was stopped by Mihawk, and was about to fight him when the producers of the show decided “Let’s make a badass ending!” and left us hanging. This week, Luffy begins his short fight against Mihawk. As he tries to run away and fails completely because Mihawk is totally badass, Jimbei comes to his rescue. 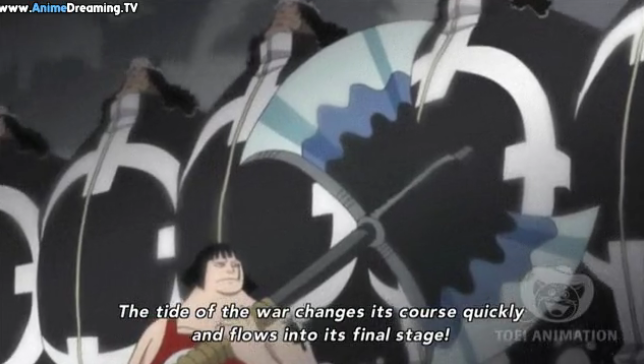 Then follows a quick scene between Hancock and Smoker, which is basically just another time for Hancock to fantasize over Luffy, followed by a freaking stupid scene involving Buggy getting run over by Crocodile’s sand tornado while he is looking for a Den Den Mushi in order to broadcast to the world his “greatness”. The fight between Luffy and the extremely badass Mihawk then continues, and Luffy manages to escape with the help of “Flower Sword”, 5th division commander of the Whitebeard pirates. Mihawk then realizes Luffy’s true ability, one to make friends who’ll want to protect him anywhere, anytime. Then, as Ace’s execution is slowly approaching (since it has been decided that he was to be executed before the planned time), the Marine Captain sends an order to “start the plan”, and a ton of Pacifista appear behind the pirates, ready to exterminate them. This war is getting better and better. We can definitely feel the climax slowly approaching! This episode was fairly well done. Fights were amazing, the Hancock humour made me laugh a ton and the Buggy humour made me stay absolutely emotionless, when she mentionned that Luffy was now her husband because of that single hug and imagined their honeymoon together. This woman has way too much imagination for her own good, however it’s really funny so I don’t mind it. As for the fights, the action was there, Mihawk acted totally badass and Luffy tried his best to do so as well, however he couldn’t do anything against the greatest swordsman in the world so he kinda failed… It’s okay, I love you anyways.He regained himself however when Mihawk mentions his special ability, the realization that Luffy can bring together an incredible amount of people with him. He’ll always have friends, no matter where he goes, and that actually frightens Mihawk. Wow. The cliffhanger at the end was very good as well. That’s one thing about One Piece, the cliffhangers are usually very good, and this one wasn’t an exception. *gasp* The Pacifista have appeared! What will happen now? Nothing in this particular episode pissed me off, I’d say the only things I really didn’t like are in pretty much every single episode. 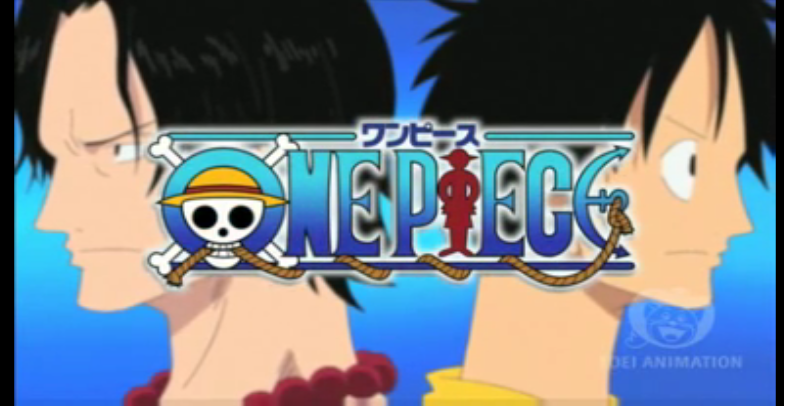 Tagged Currently Covering, episode 470, one piece, review. Bookmark the permalink.